I enjoy prototypes since they’re rare, give you a glimpse behind the scenes in what it takes to bring a toy to market, and often let you see the sculpts of the toys more clearly, since they’re usually not obscured by paint. Prototypes for Jabba himself have been exceedingly difficult to find, and for whatever reason I’ve seen very few Jabba’s palace characters in general, so I was happy to get this one. With Oola in particular, seeing the raw unpainted sculpt really impressed me. Especially when you take into account its small size, this is really quite beautiful. 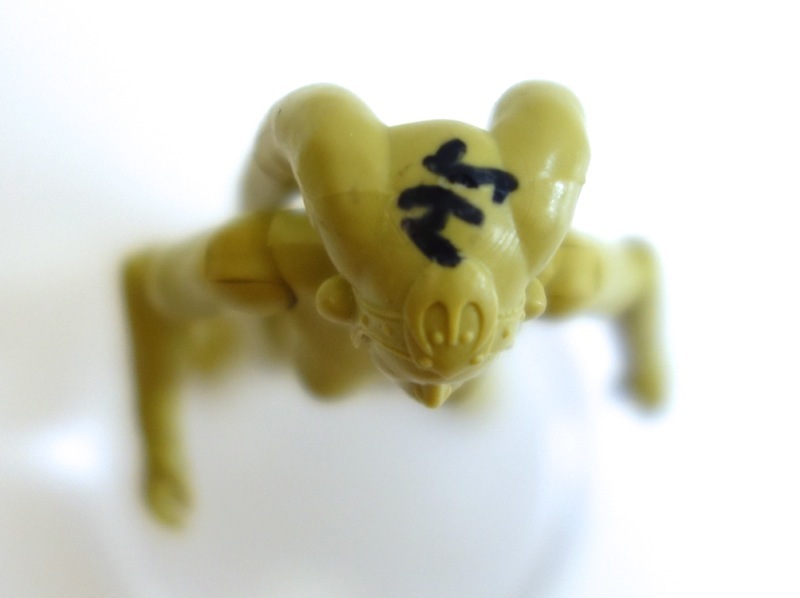 The only marking on this prototype is a handwritten “A5” on the top of her head. What that meant I can only guess, but presumably they were testing something and needed to be able to tell various iterations from each other. When you compare this prototype with the finished figure, the finished figure looks a lot more toy-like somehow. The mesh netting she’s wearing looks too big and bulky, and the paint on the face seems heavy handed. There’s not really a lot of paint even on the finished figure — it’s basically just her face, headgear and sandals — but it does make quite a difference in the figure’s appearance. Such a great item! Where did you score it, eBay or a forum? This one was from eBay. 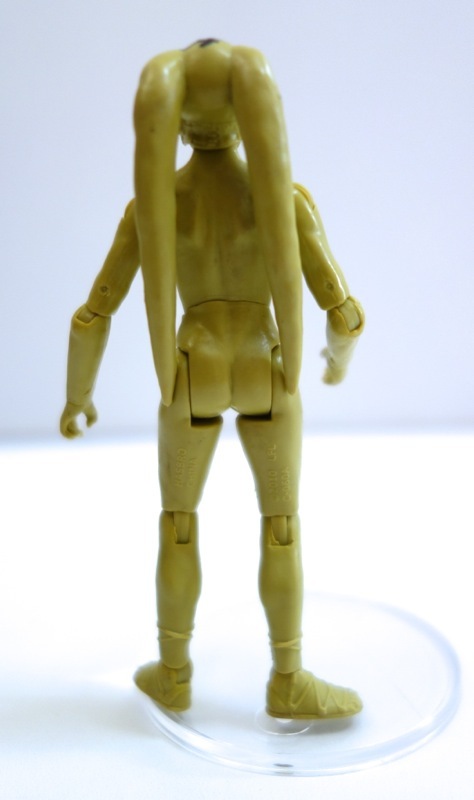 I’ve also seen a couple of prototypes (“test shots” is probably more accurate) for the POTF2 Oola figure as well, but they were always a little more than I wanted to spend.